Thank you Savers–the thrift superstore with community conscience–for sponsoring this post. Dramatically downsizing our possessions was the single most life-changing thing I’ve done in a LONG time. After a lifelong dance with distraction and disorganization, I found the clarity I had been craving when I simplified and focused on what I really wanted in my life (and home). Ever since I made that big change (which is still an ongoing process) I’ve been asked a lot about how I did it. Here are my tips and how your donated goods can do good in your community. What motivated me to get rid of my stuff was a deep desire to live a lighter, simpler life. 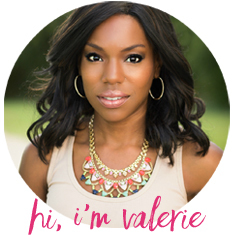 I wanted to create space for what truly matters to me….like friendship, community, connection, travel and my creative pursuits. I binge-watched TedTalks and minimalist living YouTube channels when I needed inspiring. I also listened to podcasts and audiobooks about decluttering while I purged. It really is that simple. I just filled boxes and trash bags with stuff I didn’t want/need anymore and drove it away to a donation drop spot as quickly as I could. I had to get really real with myself when deciding what to give away. Statistically, we only use about 20% of our stuff 80% of the time so through most of the declutterthon I’d just decide what I wanted to KEEP and got rid of the rest–I still have no regrets and have never wished for any of that stuff back since I decided to get rid of it. It was exhausting but so worth it. Have a conveniently located “outbox” in your house at all times so that you never have to do a huge purge again. Donating is life-changing for everyone. community. Like how Lupus Colorado and Healing Minds have partnered with Savers thrift stores to open four new Donation Drop Spots in the greater Denver area that provide convenient locations for community members to donate their used goods. 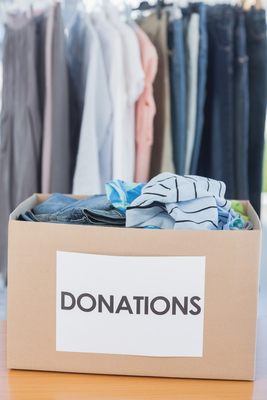 Savers pays Lupus Colorado and Healing Minds when community members donate their goods to those three organizations at the Donation Drop Spots, whether the items make it to the sales floor or not. Savers is also on a mission to create a better world through reuse by inspiring local communities to donate reusable items to local nonprofits instead of throwing them in the trash. Through its commitment to sustainability, Savers has become one of the largest recyclers of used goods in the world, keeping more than 650 million pounds of reusable items from landfills each year. I love that feeling of an empty car after I drive away from a donation site! I feel lighter and freer and love knowing the stuff will end up where they are needed. I am all about purging and donating. Thanks for the info on Savers. I really need to purge more. I’ve kept SO much over the past 9 years (in our baby making years lol!) Now that we are done, I have started the dreaded purge. I need to do more. I sure wish there was a Savers by me. I wish I had something like this to drop off to!